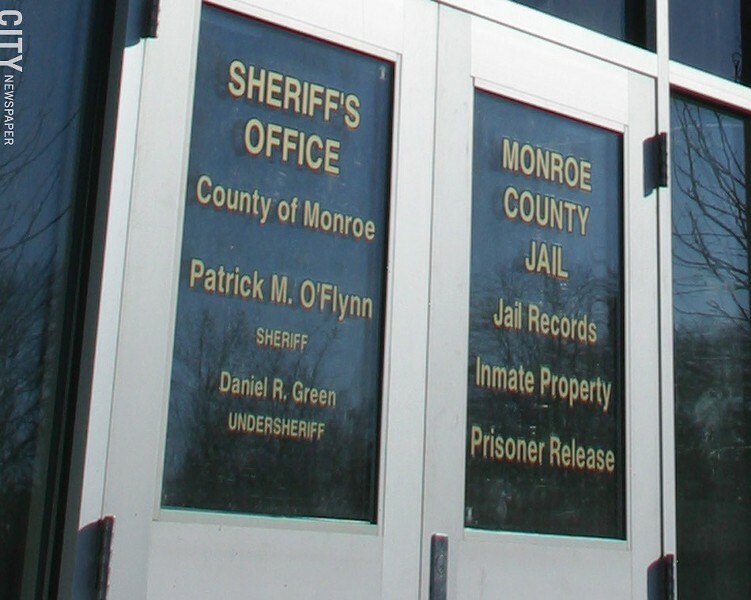 Monroe County has lost 47 jail deputies to retirements and resignations in recent years. The shortage often forces remaining deputies to work overtime, including double shifts, and to sometimes work more than a week straight without a day off. Behind the exodus is the deputies' contract; they're working under the terms of an agreement that expired at the end of 2012, and there's no new contract in sight. The deputies' jobs are physically, mentally, and emotionally demanding: they are spat on, cursed at, punched. But many experienced jail deputies haven't received a pay raise in years, due to the way that the old contract was structured. The union leaders and members want serious negotiations with county administration officials, but that's not happening, says Jim Mascho, executive vice president of the Monroe County Deputy Sheriff's Association, the union for jail deputies. Instead, every time the county offers a proposal and the 484-member union comes back with a counteroffer including concessions, the county then makes an offer that was worse than its previous one, he says. "Their view is always to take," Mascho says. "It's always been that way." And union officials say that the administration isn't treating the workers with respect. County Executive Cheryl Dinolfo came to the union during her election campaign last year, and promised that her administration would negotiate in good faith, Mascho says. The union endorsed her as a result, he says, but it hasn't heard from her since. The union also alleges that Brayton Connard, the county's human resources director, told some of its officials that if it were up to him, the jail deputies would make minimum wage. County spokesperson William Napier says that Connard never said that. Napier declined further comment, but noted that the county and union are set to meet on August 11. "The county has always bargained in good faith," Napier says. The Taylor Law, a state statute that governs public employee union contracts and prevents government workers from striking, requires confidentiality, he says. And the county has a longstanding position to not discuss the status of ongoing labor negotiations, he says. The jail deputies are afraid that they might get stuck with a deal like the one imposed by a state-appointed arbitrator on the road patrol deputies, Mascho says. In rough terms, many of those deputies will have to work an additional seven years or more before they can retire with full medical benefits. Around 30 road patrol deputies recently retired or transferred out, in large part because of the new contract, Mascho says. And jail workers of retirement age, who might have otherwise stuck around for a few more years, are leaving before they find themselves in the same situation, he says. The jail deputies' contract is part of a bigger picture. Only two of the county's eight unions have active contracts, and that's counting the contract imposed on the road patrol. The other union, the Federation of Social Workers, worked under an expired contract for eight years until members approved a new contract recently. The Airport Firefighters Union IAFF Local 1636 has been without a new contract since the end of 2012. And CSEA, the county's largest union at 1,719 members, has been without a new contract since the end of 2013. The union filed a declaration of impasse with a state labor board in May, a move that a mediation session, says CSEA spokesperson Ove Overmyer. County administrators' strategy seems to be to deny or delay the settlement of collective bargaining agreements as long as possible, Overmyer says. Employee morale has sunk across county departments, and it has become difficult to retain experienced employees and to recruit talented new ones, he says. County unions, backed by other local labor organizations, will hold a rally at 5 p.m. on August 9 in front of the County Office Building, 39 West Main Street, to call attention to the expired contracts. It will be held before the County Legislature meeting, which starts at 6 p.m.
"The workers are ready to explode," Overmyer says.